The Scrapbookers Anonymous September Challenge: Chipboard! Dig into your stash and get a bunch of it on a layout. Use the leftovers to make a few cards. Here's my take. Even though the layout is about our church's Harvest Festival, I decided to work with the colors in the photos instead of traditional fall colors. Really happy with that choice! 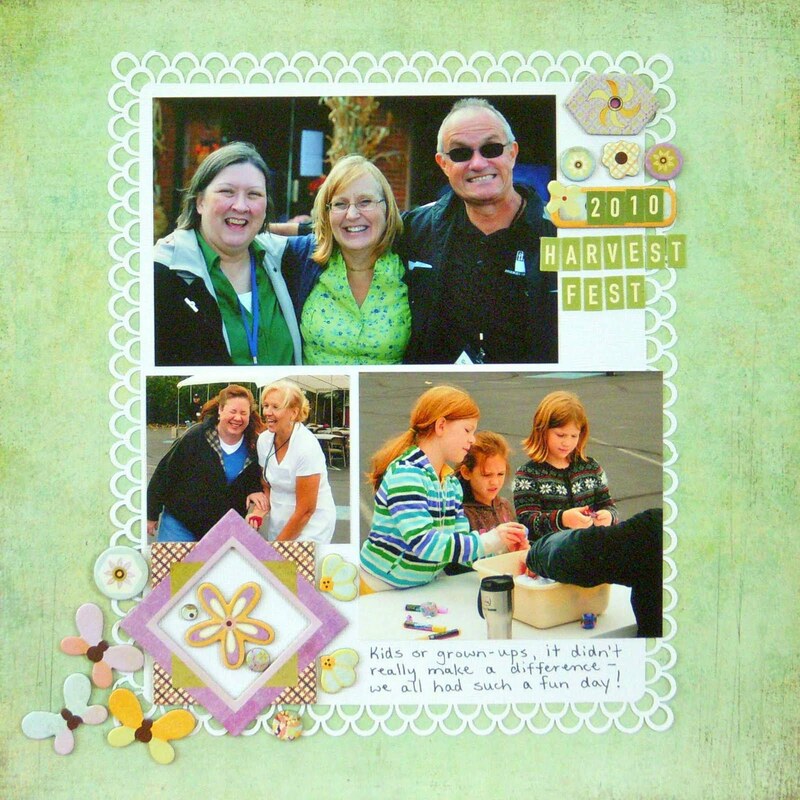 I chose to cluster my chipboard in opposite corners on the page, varying the size, and working in groups of 3. The smaller leftover pieces worked great for card making! Now it's your turn! You have until the end of the month to submit your layout and cards. All the details are right here. Check out what the rest of the Design Team has come up with! Scrapbookers Anonymous is one year old this month, and there are some special mini challenges going on all month long! Great layout and cards. Love the chipboard embellishments. Love the Kyoshi stuff - pinned the layout! Fun layout! Everyone looks like they were having a great time! 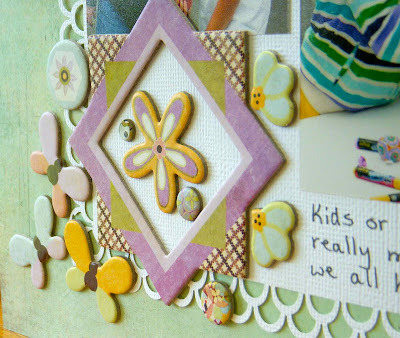 Love the chipboard clusters! And great cards! Way to dig into your stash! Like those colours and great cards. Love all your clusters. 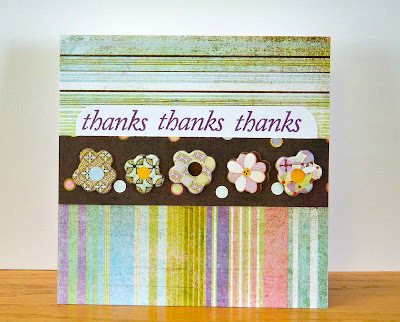 You'd be proud of me, I have a card up today that came from some scraps from yesterday's layout. Great layout! Especially like the punched background paper. Ooh! I love chipboard, thanks for the inspiration! Great layout Sue. I pulled out a package of chipboard that I've had for awhile and hoping to use it on a LOAD layout in the next few days, then create a card, too. I love the colors and the clusters! :) Great pic of you in the layout, you have a beautiful smile Sue! Nicely done Sue! I love that your projects are always so neat...in a lovely grid format...which I'm learning to use! So pretty! 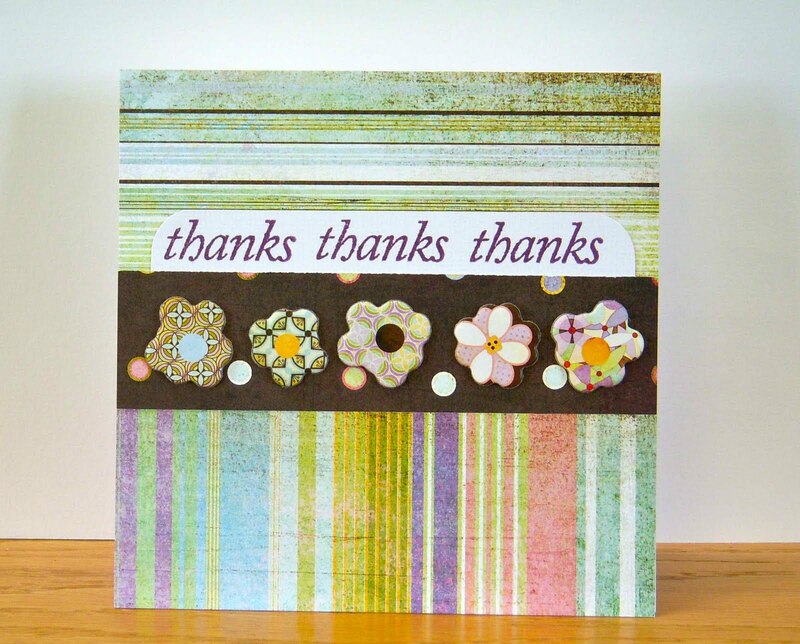 Love the clusters of chip accents -- and the cards are awesome! 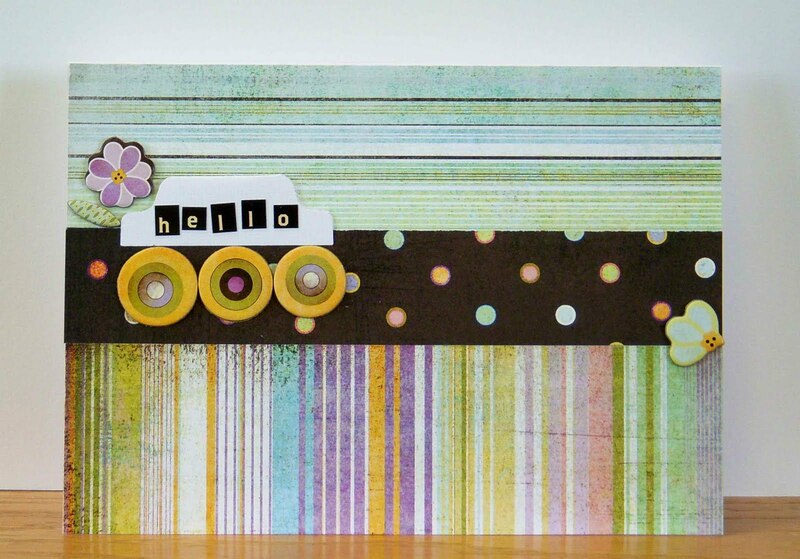 Your stash of cards must be building -- what fun! love the colors on this Sue. I have this paper and I don't think I ever broke it open. i may need to challenge myself to use it in the B.. i know I'm using basic grey.